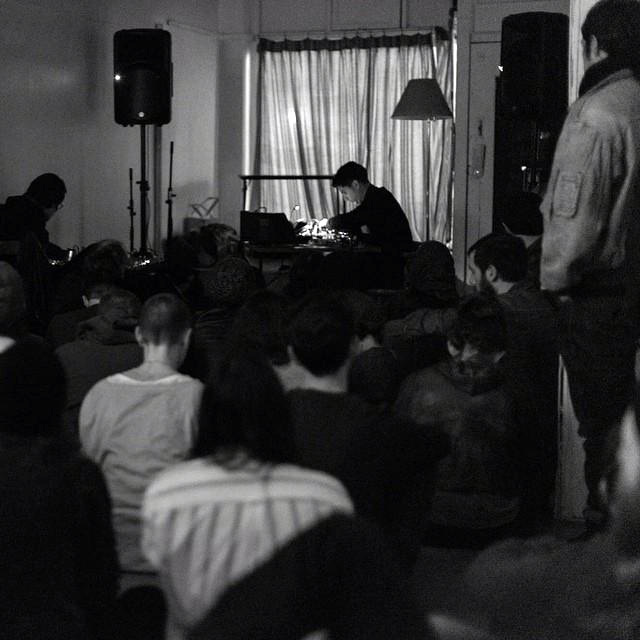 Nayt Keane reports on the recent festivities in Vancouver, a showcase for artists including Gabriel Saloman, Secret Pyramid, Total Life, Loscil and more. A new Soundcloud mix (scroll to the end) brings the sound of the festival into your own sonic devices! Secret Pyramid finished off the second evening with his trademark nocturnal drones, but introduced a new twist: giant bass. A trick to keeping the dreamers from nodding off completely. The tone of this show series glides on notions of gratitude and everyone being welcome. I have not mingled with strangers this comfortably in ages. As each night unfolded, it was like everyone in attendance was getting snapshots of 25 different bedrooms, witnessing what some very dedicated explorers were up to. Audiences often sat or lay down and were encouraged to stay respectfully silent when the music began. I ran into co-workers who I’d always thought I should get to know better – and I did. 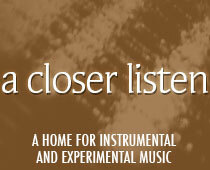 I learned that some of the people I’ve met in Vancouver over the years in fact created some far-out music. The most notable of these serendipitous meetings was with my talented friend Gabriel Mindel Saloman. Before Big Joy I merely knew him as Gabriel. After sharing a pre-show slice of pizza, I realized that the man who I had also shared campsites, backyards, a Barn Owl show and dinner celebrations with was not only formerly half of Yellow Swans, but was also set to engage in one of the most moving performances I would ever witness. Saloman had just finished teaching a class about collaboration in the arts. This skill is becoming more important as artists must adapt to an accelerating world of business, cultural collisions, global relationships and more distractions than ever. Topics like this ran like mycelium through the audience between sets and over beers. 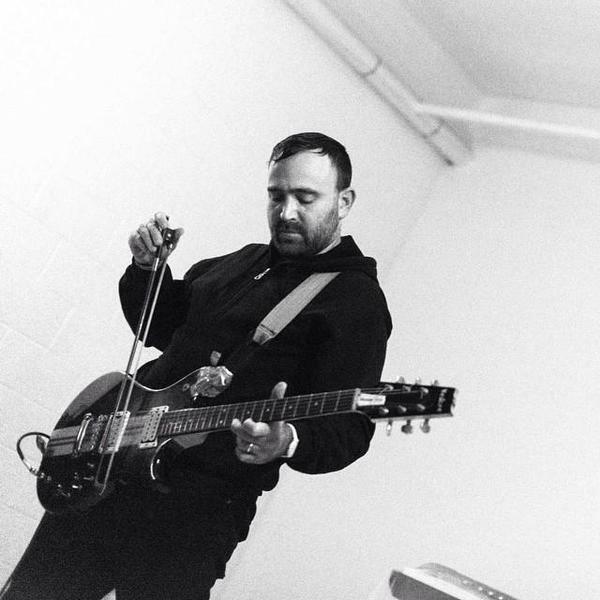 Ambient, drone, harsh noise, and experimental music are just as much vehicles for communication and evolution as any music form, but due to their fringe nature they are perhaps more capable of inspiring new ideas and conversations freely. Scott Morgan (aka Loscil) played a savory set of pointillist drift and melody with vibraphonist Josh Lindstrom. Opening night featured so many disparate music styles, from the opening, tender guitar deconstructivism of Prison Hair to the menace and intrigue of Sisters of Seance. I discovered what makes events like this special: witnessing the presentations of the intrinsic human desire to satisfy curiosity. Intellectual investigation has been proven to release dopamine, linking curiosity to pleasure centers in the brain. Artists journey toward their edge because they need to be there the same way they need to eat and sleep. 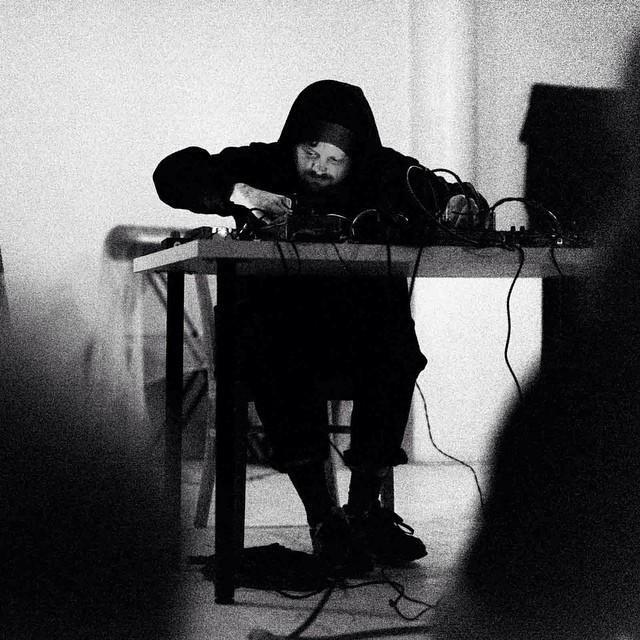 An artist like Connect_icut would be creating his fluxing, submersible worlds of sound regardless of whether or not there was a chance to play in front of people. He would still be compelled to discover and create soundtracks to white blood cells battling bacteria. But there he was, the corners of his mouth curling with satisfaction over each savory modulation. It was a delight to watch and listen to his game of sonic cat and mouse. PrOphecy Sun pulled off a cathartic set while surrounded by homemade inflatables. Each of her chants was delivered with conviction and an earthy tenor, conveying a deep satisfaction. Scant Intone played perhaps the most sublime set of the festival on a tiny keyboard in his lap, immersing the audience in deftly shifting forms. Secret Pyramid’s somnambulist drones put me to sleep for the second year in a row. 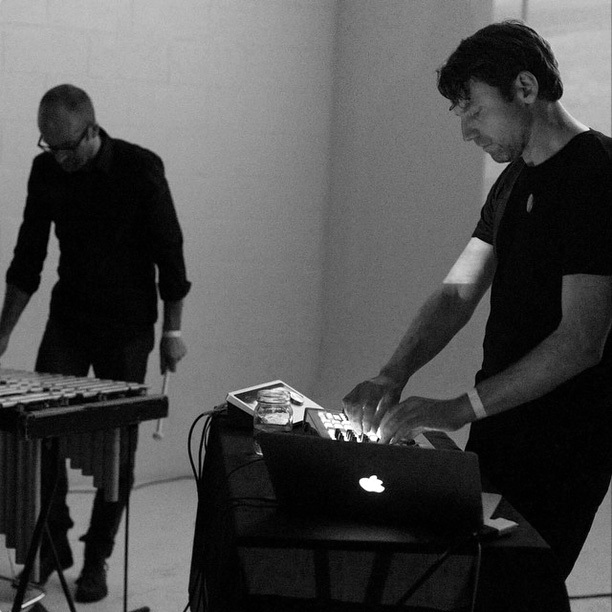 In fact, I believe I fell asleep at some point each night, with Loscil’s dreamy, vibraphone-laden set blissfully knocking me out at the festival’s conclusion. To have all of these sonic explorers in one setting is a joy to witness when your own curiosity is peaked, but you have to be ready for anything. For each act polished and soothing, there were others most savage and wild. 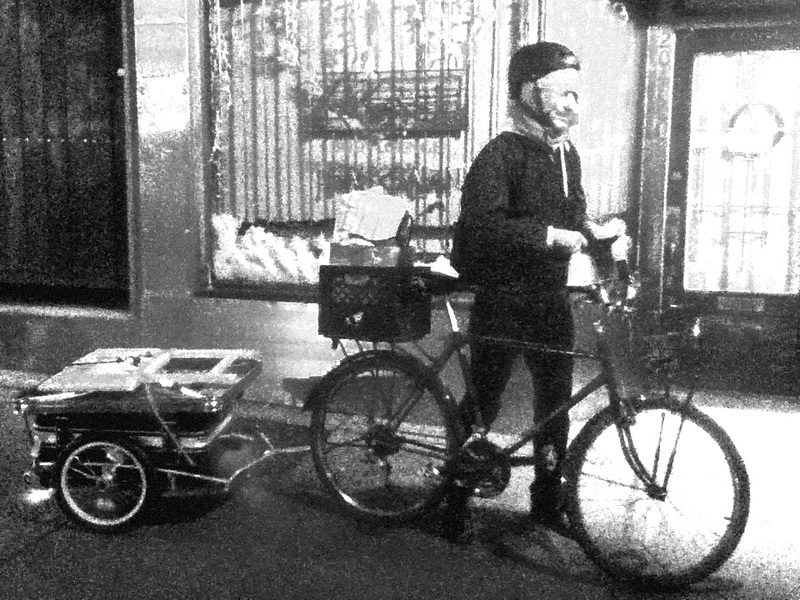 Lee Hutzulak transported his synthesizer gear via bike trailer, which is about as Vancouver as you could want. His short wave aerobics tweeted and careened about quietly with an intelligence that sounded like a computer trying to reboot the power of life. Curiosity was further peaked by the harsh noise artists. The rigorous drum workout from Botfly made jaws drop, while the punishing skree of Whip of the Ufo had many stuck in time, others reviewing their exit strategies. Molena’s set layed down the most devastating tumult, at times using a contact microphone to amplify the grinding of a link of chain around a metal tray. It was the sound of “forced re-entry” where despite the hull tearing into pieces, the spaceship insisted on its suicidal drop through the atmosphere. The very fact that Molena was making such an impossible racket was an achievement worth witnessing. When I asked how often he can practice at that volume, he had to measure his response. It can only happen one or two times leading up to a performance. It takes a lot out of a person, and neighbors must be consulted in advance. That makes a harsh noise performance even more cathartic, given that it represents one of the rare instances where the required decibel level is even reached! The Rita blasted the innards out of the joint with the help of Hannah Myberg’s muscular feet. I was curious as to how someone gets into creating sound like this. In Listen To This, Alex Ross remarks, “The best music is the music that persuades us that there is no other music in the world.” It’s a point worth resonating with if you find yourself over-intellectualizing music. 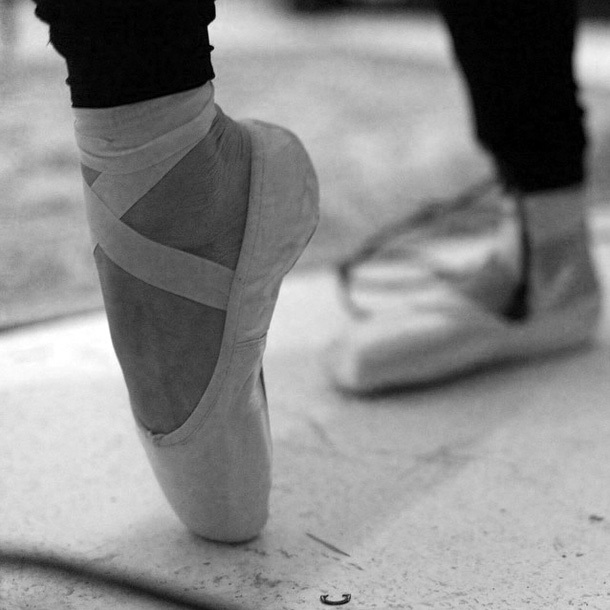 Witnessing The Rita tie a contact mic to a ballerina’s ankle and siphon her dance forms through his harshest of noise had me intrigued, if not perplexed, as to how he got there. While my fight-or-flight systems were being put on alert by the noise, I was struck by a feeling of voyeurism. I was unable to turn away from another human being’s personal obsession with beauty. 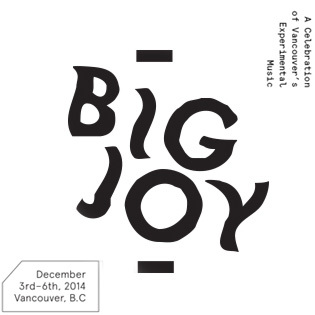 Most of the artists at Big Joy have been playing in Vancouver for many years, and the diversity in styles created an engaging show from start to finish. Conjuring a colossal audio totem of imperial nature, Rusalka seemed too tall for her table of pedals, her towering figure intimidating an unusually large theremin into malicious fortune telling. Holzkopf helped bedazzle the hipsters with his cassette tapes shot through white hot noise pedals. Watching him gyrate and tenaciously put out fires was seven-pointed star entertainment. Gabriel Mindel Saloman stokes the fire with deft bow. Following an all-out kraut workout by V Vecker Ensemble, Gabriel Saloman announced that his piece was dedicated to all the people on Burnaby Mountain. In British Columbia there is a huge resistance to a massive oil pipeline that would connect the Alberta tar sands and the coast. Many concerned citizens are currently camping out with indigenous communities to fight against it. Saloman rallied the audience to meditate on this reality. After starting with bells and field recordings from Burnaby Mountain, he slowly introduced his bowed guitar. Layer upon graceful layer of sound strung up the monstrous injustices in the scaffolding of the audience’s incredulity. As the wall of sound grew and penetrated the skin, the marginalized people living in their native lands in remote parts of the province seemed to be in the room with everyone. Saloman was barely holding on as he peeled yet another layer of pain from his guitar. I was literally weeping at the end of this vigorous and passionate performance. By the wall where he threw himself and collapsed, I hugged the man, my tears melding with his sweat. Total Life turns liquid to solid with a mega drone. All photos by Yuko Inoue, except Lee Hutzulak’s photo (N. Keane).